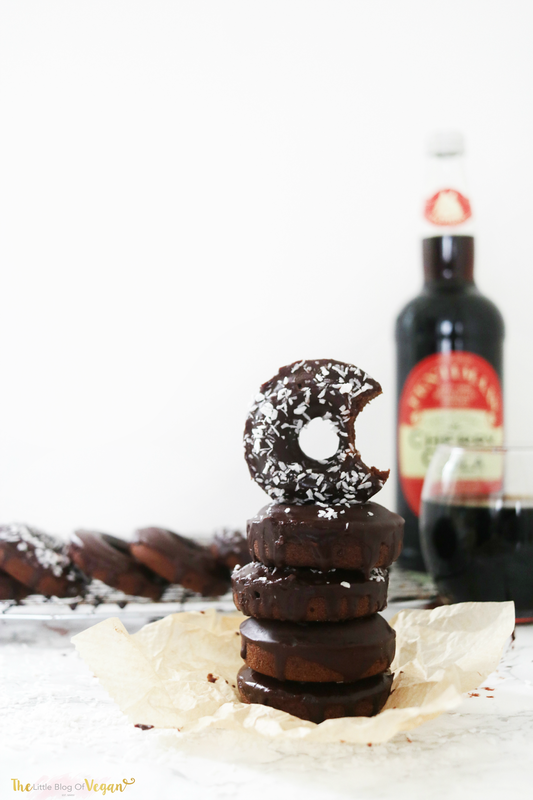 I have been so excited to try out a new recipe incorporating cola drink into doughnuts. I know it sounds crazy, but it works! Fentimans cherry cola is divine and is one of my favourite tasting cola drinks. It contains no artificial sweeteners like Aspartame or Sucralose, colours or preservatives and it works wonders in this recipe. Read my review of Fentimans here. This drink replaces the milk that would usually be added add into doughnuts. I am pleasantly surprised with how these turned out, they're delicious! Cherry cola combined with chocolate are a match made in heaven. These doughnuts are extremely moreish and flavoursome enough and can be served at birthdays/special events. They are a moist, rich and ideal served with some fresh coconut cream. Even writing that is making me hungry! yum! Step 1- Preheat the oven to 180 degrees c and grease a doughnut tin with oil or vegan butter. 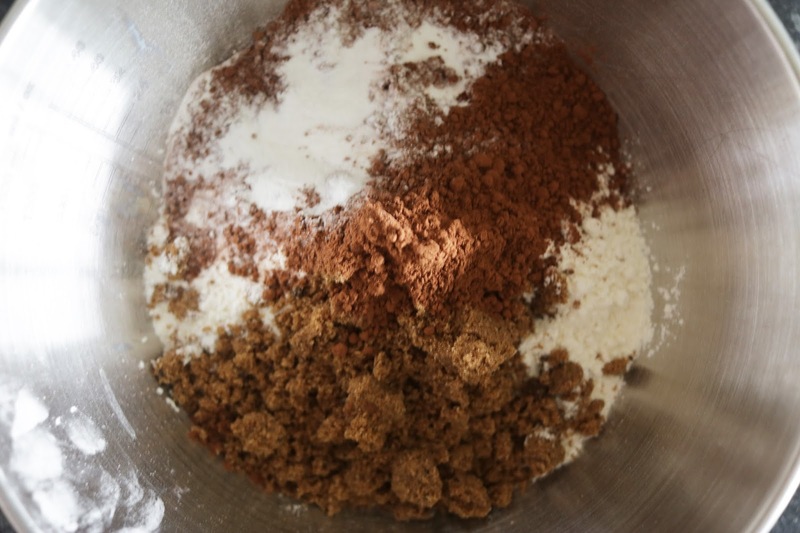 Step 2- In a large mixing bowl, add in the flour, sugar, cocoa powder, baking powder and salt. Step 3- Add the cherry cola, vinegar and oil. Step 4- Add the batter into a piping bag and snip off the tip. Pipe the mixture into the doughnut tins 3/4 full. Step 5- Pop the doughnuts into the oven and bake for 10-12 minutes. Make sure they don't burn on-top. 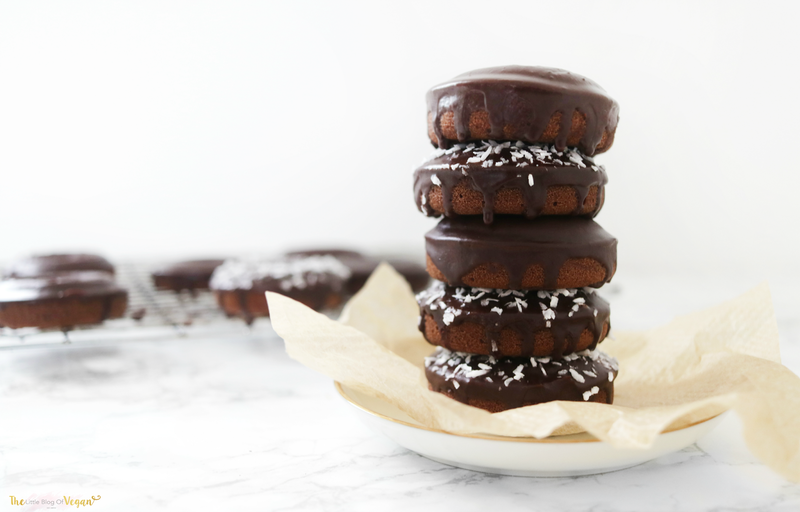 Place the doughnuts onto a cooling rack and to cool fully before icing! 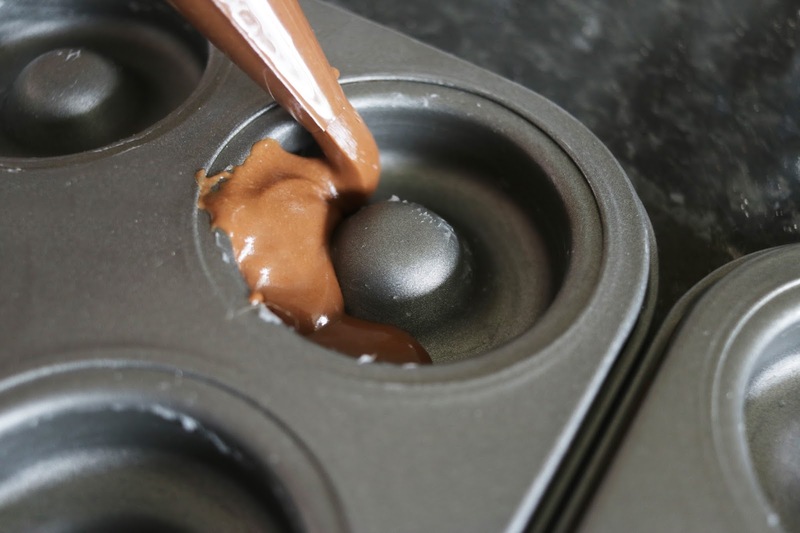 Step 1- Place the sugar, cocoa powder and cola into a bowl and mix until smooth and shiny. Step 2- Dip the doughnuts into the glaze and place back on a cooling rack. 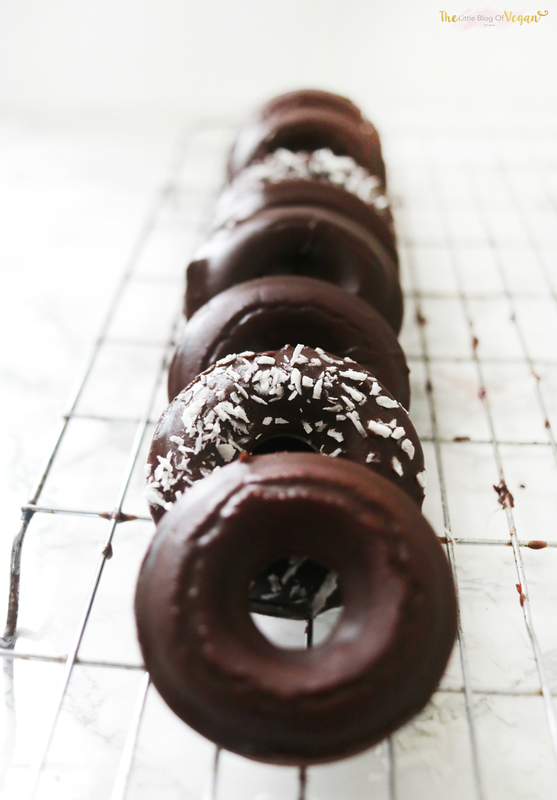 This is the time you can decorate your doughnuts with sprinkles, coconut, chocolate.... anything you fancy! 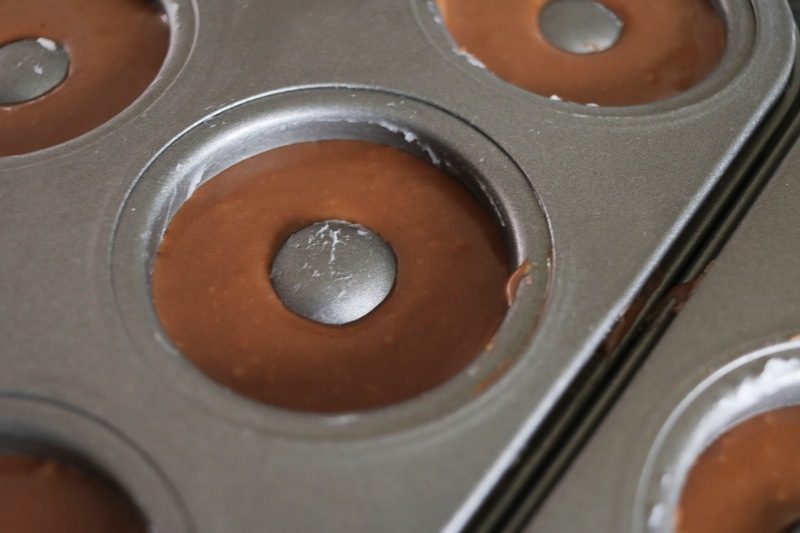 Step 3- Pop the tray into the fridge for 5 minutes, to allow the glaze to set. 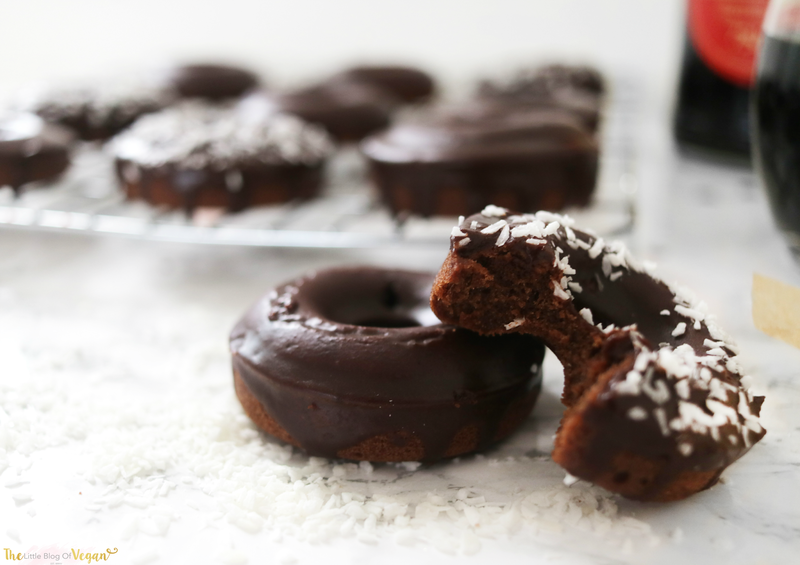 Store these yummy doughnuts in a sealed container to keep fresh & delicious! Best enjoyed fresh, day of making!! !